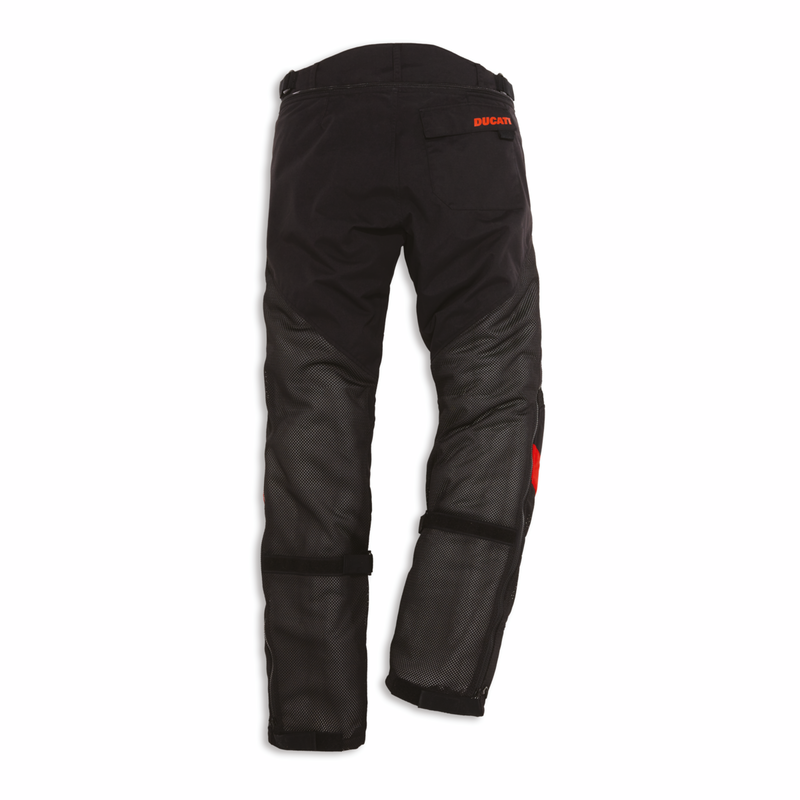 Paired with the Summer 2 jacket, these ventilated trousers are characterized by their mix of Mesh and highly resistant polyester fabric that ensures correct support of the CE protectors positioned at the hips and knees. 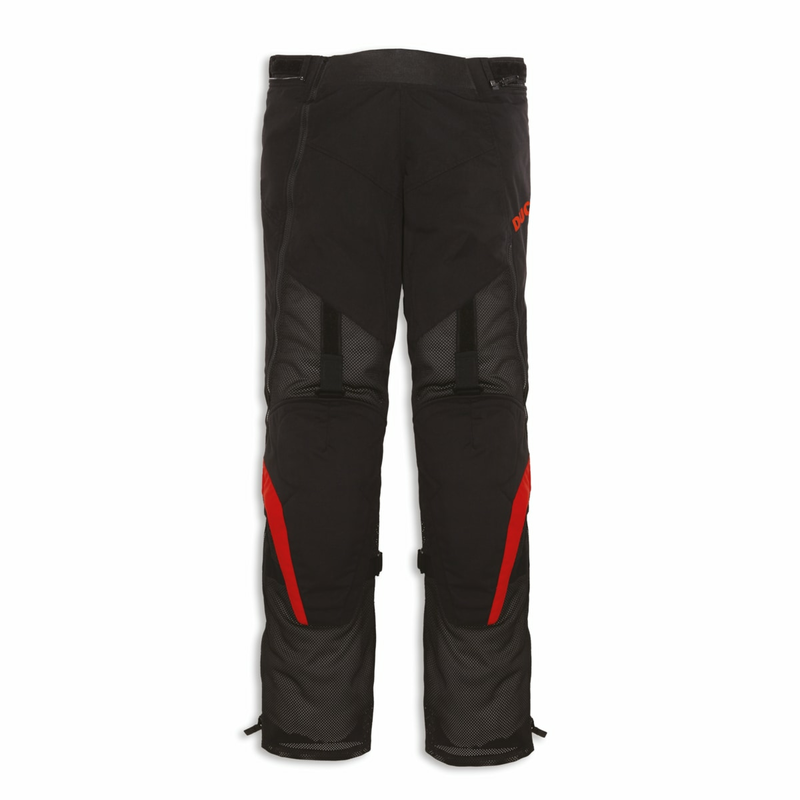 Along the length of the leg, as well as inserts for the regulation of volume, there is also a long zip with which to fully open the garment. 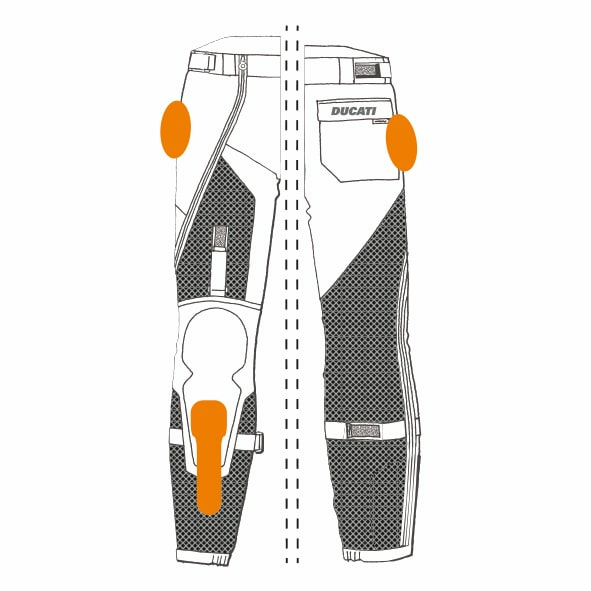 In very hot and humid climates, this allows the rider to easily remove the trousers if used over the top of jeans or shorts.